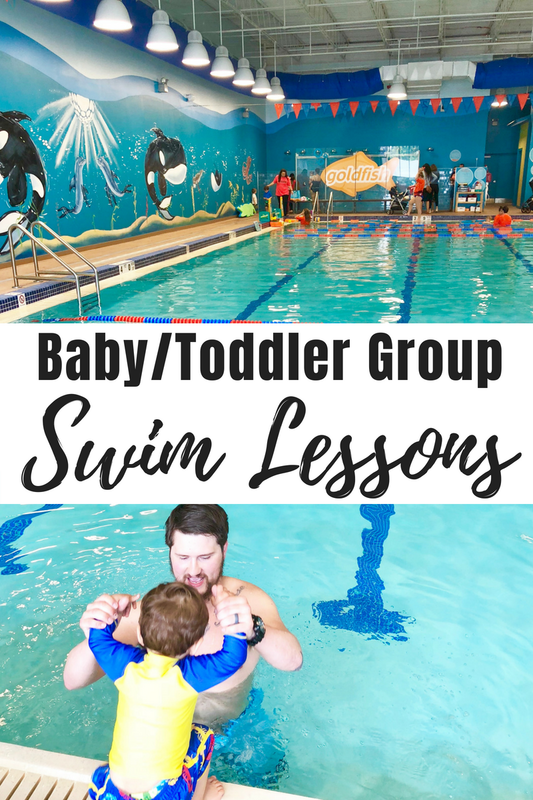 If you've been following me on social media (Instagram | Facebook), you might have noticed that our toddler started group swim lessons at the beginning of the summer at Goldfish Swim School - Farmingdale. I can not say enough good things about the swim school and its staff. Upon arrival, we signed consent forms and were gifted reusable bags with an orange Goldfish t-shirt and resource materials. We've used this bag for swim class items (towel and change of clothes) every week. 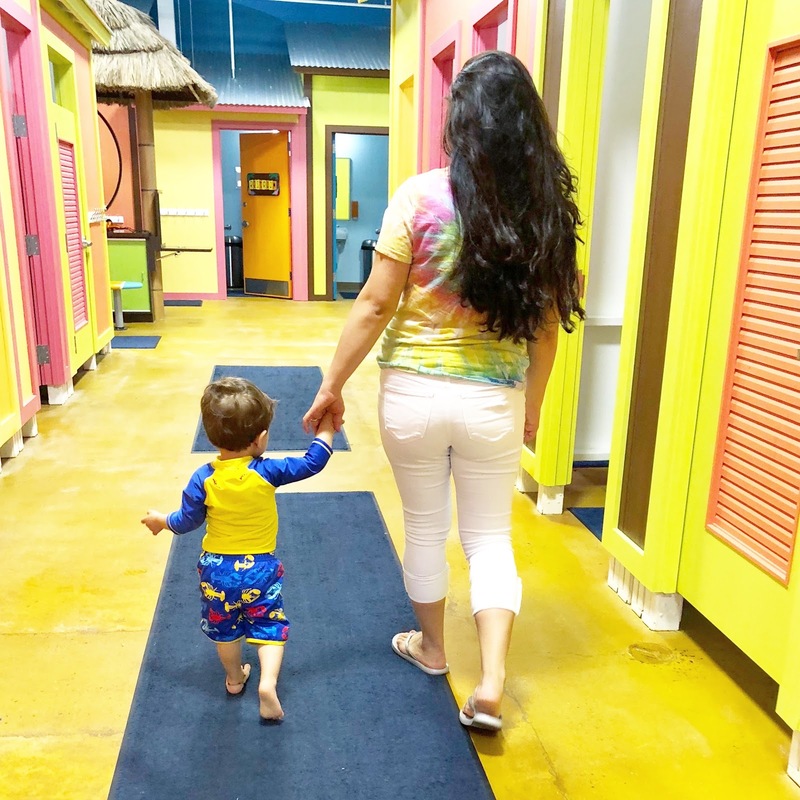 There is a cute little snack shack area, shower area, a blow dry bar, changing room huts, a coloring station, and if you are in need of a swim suit or reusable diaper (required), there are a variety offered for sale, as well. When class time comes, there is an announcement for class members to enter the pool. The swim teachers help parents enter and exit the pool by holding the babies/toddlers for them as they do so. 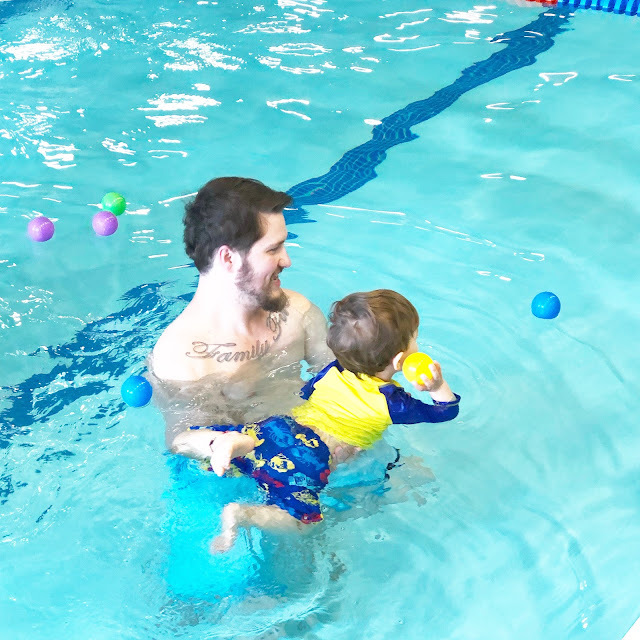 During the class, there are songs and fun activities, such as going down a foam slide, riding in a foam boat with other kids, and gathering balls in the pool. Seb absolutely loves the classes. He has practiced pulling the water with his arms, kicking his feet, putting his head underwater, floating, and getting up and down the pool wall. He had not really done of this prior to classes so it's been fun seeing him improve. He even got a ribbon for going underwater and was proud of himself! 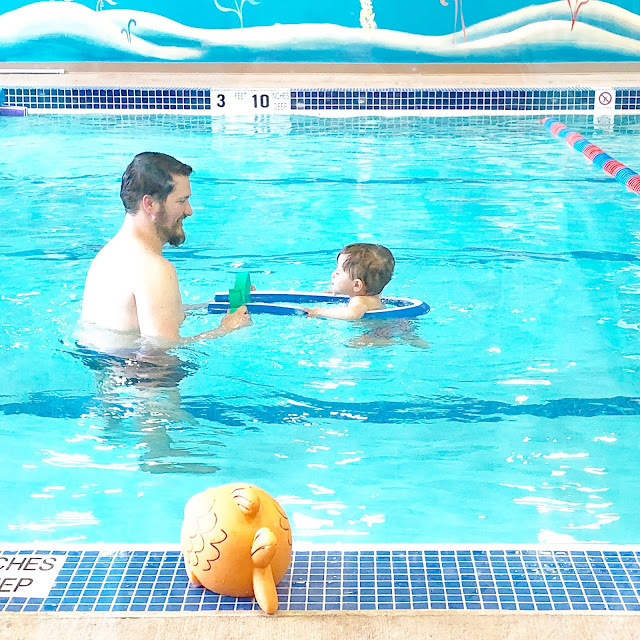 It's important to note that while my husband and I feel much more confident when S is in a pool now, we know we still have to watch him to ensure his safety. While the classes are teaching him to swim, he is far from that milestone--and that's okay. The class is a fun activity for him and offers social interaction. The Goldfish model is The Science of SwimPlay,® meaning the swim lessons are taught in a safe and fun environment. The main focus is water safety, while simultaneously fostering a love of swimming. 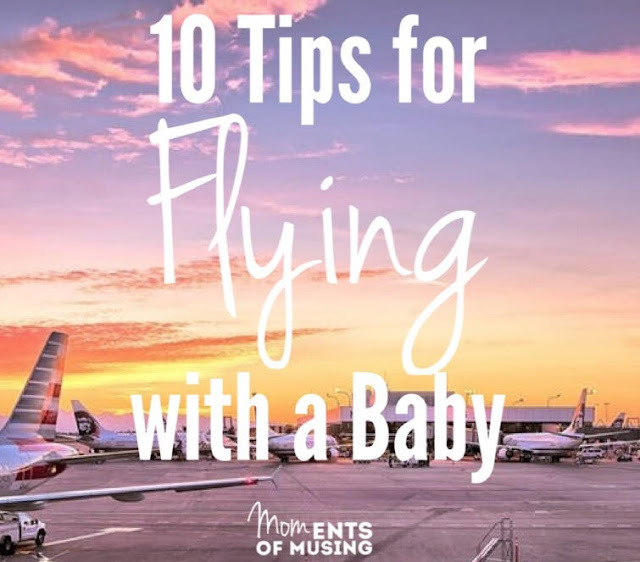 So, while there is focus on the serious stuff, there is also a focus on the fun. All in all, the facilities are clean and inviting; the staff is knowledgable and accommodating; and the classes are fun and informative. 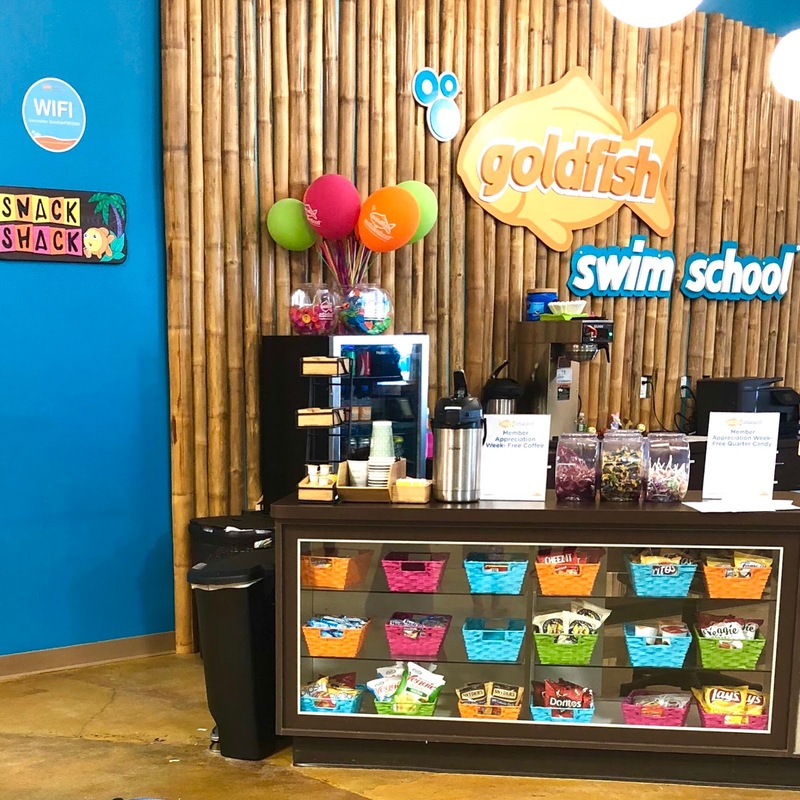 We could not ask for a better swim class experience, and highly recommend Goldfish for swim lessons! 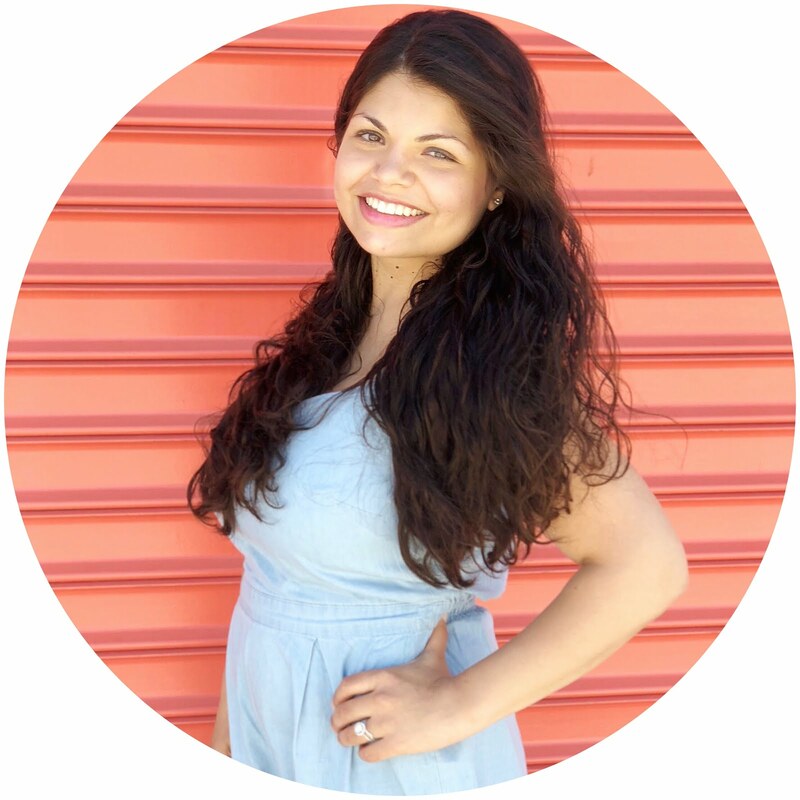 Sounds like an awesome program! Way to go Seb!